The book that’s been a project for 3 years is set to come out. I’m going to start putting up lots of pictures from my research trips to Istanbul in celebration of finally, finally finishing this work. The first photo I ever took in Istanbul. 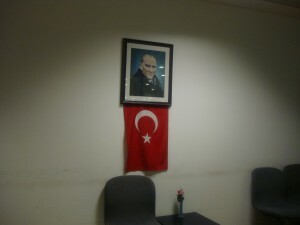 I didn’t know it at the time, but virtually every shop, cafe, and business of any sort has a picture of this man: Kemal Mustafa Ataturk. After doing lots of research on his life, I can see why he’s celebrated as the greatest statesman the country of Turkiye has ever known.